Ba Xuyen is a composite of the Berkshire, imported from 1932-1958, and the Bo Xu that is itself a composite of the Craonnais, imported around 1920 by French planters, and Chinese pigs imported around 1900 by Chinese traders. Ba Xuyen is adapted well to the salty-water zones of the Mekong River delta in southern of Vietnam. It has short body, medium-sized ears and small legs, with roughly similar proportion of black and white areas on the body. 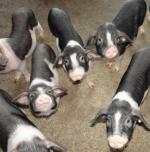 The average number of piglets born alive per litter is 8. 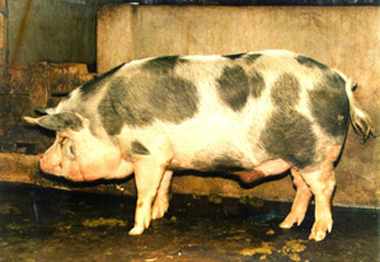 Pig weighs 100 kg by 12 months of age with high backfat thickness of 42 mm.